Atlantic Electric, LLC has over 45 years’ experience as a commercial electrical contractor in Charleston SC. We have highly skilled and efficient crews that can install your commercial electrical project on schedule and budget. We also have support staff and project managers that can recommend best practices for Lighting and lighting controls, data networks, ups and generator systems, etc. Construction of new one-story multi-pool aquatics center with associated parking and drive areas and a retention pond. The electrical portion consists of secondary service encased in concrete, primary conduit for SCE&G, concrete pad for pad mounted transformer, concrete bases for pole lights, lightning protection system with downleads and ground rods, pool grounding, seismic bracing for electrical equipment, VFD’s, raceway and back boxes for voice/data, CCTV, security and sound systems, lighting control system, fire alarm system, knoxbox with shunt trip pushbutton, fire stop for electrical penetrations. Contact: Brantley Construction Co., LLC, 8300 Dorchester Road, Charleston, SC 29418, Mr. Matthew Brantley, Project Manager, (843) 552-0150. Electrical system for a five-story office building – core and shell. The work includes installation of temporary power and lighting, complete electrical distribution system, lighting control and dimming systems, lighting and light fixtures, communication system, area of rescue, fire alarm and emergency generator systems, motor controls and wiring, lightning protection, grounding and surge protection systems. Contact: Freese Johnson, LLC, 1355 Terrell Mill Road, Bldg. 1470, Suite 100, Marietta. Georgia 30067, Mr. Abu Kanu, Project Manager, (770) 850-9393. 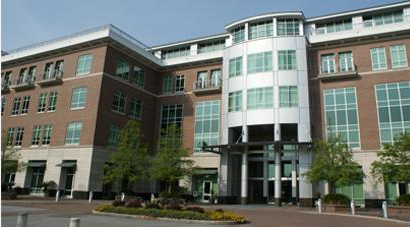 Construction of a two-story approximately 19,000 square foot office building with parking and drive areas. The electrical work includes complete installation of the fire alarm system, area of rescue systems, lighting and control systems, new shunt trip push button, site lighting including 11 pole bases and transformer pad, communication conduits, raceway and circuitry, fire stop, seismic bracing, and temporary power and lighting for the building. Contact: Choate Construction Co., 1671 Belle Isle Ave., Suite 100, Mt. Pleasant, SC 29464, Mr. Joshua Bates, Senior Project Mgr., (904) 707-7763.